Effective Project Management is based around an activities and action check list approach to project management. It provides a guide to the basic principles and the disciplines that managers need to master in order to be successful. The author’s check lists approach (based on his years of practical experience on projects) ensure that project managers are following valid processes, helping them to be innovative in their approach to developing plans and resolving problems. In addition, the author’s check list pick and mix format is designed to be flexible in order to meet the individual needs of the reader. Effective Project Management also contains some information on the theories underpinning project management. Knowledge of the theory helps in the understanding of how project management works in practice. In addition to the book’s check lists of what activities need to be performed, the author offers suggestions on how tasks could be carried out. 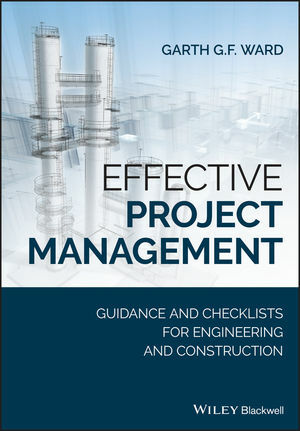 Written for project managers working on engineering or construction projects, Effective Project Management reviews all aspects of a project from initiation and execution to project completion together with the specialist topics and personal skills needed to manage projects effectively. GARTH G.F. WARD manages the project management consultancy and training business Ritchie Ward Associates. For sixteen years he lectured at Cranfield School of Management and for ten years was Director of the Masters Course in Project Management. In addition, Garth has over twenty years of experience as a project manager in both client and contracting organizations, including Shell-Mex and BP, Bechtel, Kellogg and Chemico.